from our house to yours...: T.G.I.Fabuloso: FIESTA!!!! Three things we love (me gusta): parties, Mexican food, and spring! Fiestas are one of the best ways to celebrate springtime, graduation, birthdays, engagement parties, and Cinco de Mayo (and, luckily, in Texas we have no shortage of the best delicioso Mexican food in the country)!!! Here are a few examples of our fiesta invitations. Arriba! Ole! ALL of your fiesta needs are at HH Design House!!! 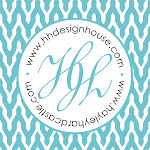 You would be loco not to check out our website www.hhdesignhouse.com to see all of our plates, napkins, koozies, and cups. All of our partywares are 100% customizable so that your party is numero uno! Place your Cinco de Mayo orders soon, before it's no bueno! Preguntas (Questions)? Call us at 409-974-4122 or email us at info@hhdesignhouse.com. We'd be more than happy to help you! Also, we'd love for you to stop by our store, Happenings, in downtown Galveston, Texas on the corner of 23rd and Church street. Come see all of the fabulouso things we design and create! Por favor, tell us what your favorite Mexican dish is in our comment section and share fiesta ideas with us! We hope you are having a FABULOUS FRIDAY and will have a wonderful weekend!!! Adios amigos! Summer is Calling: New iPhone Cover Designs!! !